Pádraig Harrington will make sure to take the Ryder Cup trophy back to Stackstown Golf Club if and when he emerges victorious as team captain. 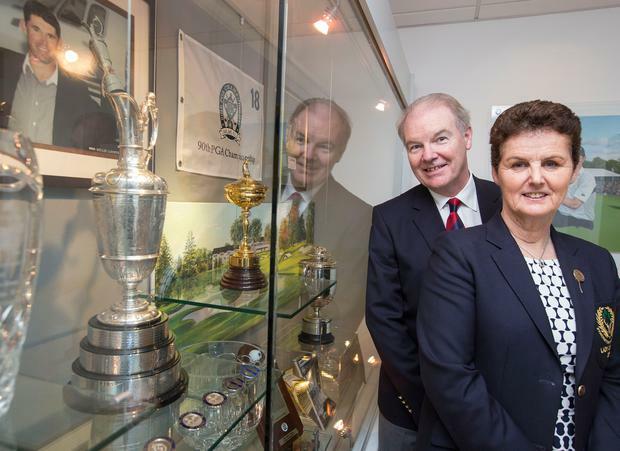 That's according to the Rathfarnham club's captain, Brendan King, who says the three-time major winner remains pride of place in their clubhouse. 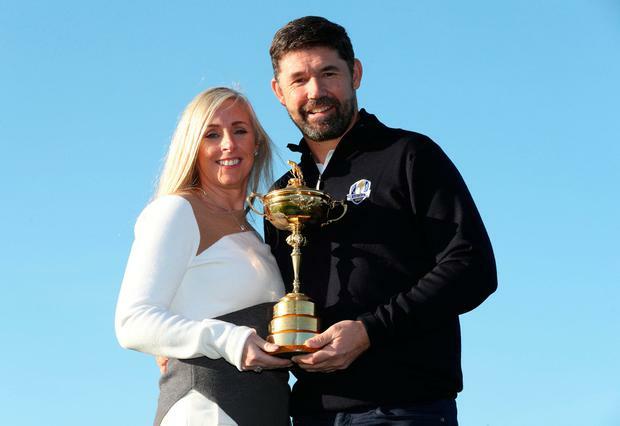 The 'Pádraig Harrington Room' is stacked with memorabilia such as replica trophies and some of Harrington's equipment - and it will become even more popular if he can bring them the coveted Ryder Cup trophy. It was announced yesterday that Harrington will lead the European team at Whistling Straits in Wisconsin for the 2020 event, with Europe the holders after defeating their US counterparts at Golf National in Paris last year. Harrington said he was "thrilled" and hoped to leave the team in a better place in two years' time. The new captain's role was the talk of Rathfarnham yesterday. "I've just been talking with a few of the members and everyone is delighted with the news," Mr King said. "It's another great step in a fantastic career and you know he's been a great ambassador for the country and golf and I'm sure he's going to do a great job for Europe as well." Despite the hectic schedule that comes with still being a tour player, Harrington still pops up to the clubhouse where he learned his trade a couple of times every year. "The reminder we have everyday is the Harrington Room where we have all his trophies from his amateur days right through to Walker Cup, Ryder Cup, then the majors and competitions around the world," he added. The room offers inspiration for the younger golfers coming through, although the sheer dedication that Harrington had from an early age is difficult to replicate, said Mr King - who has been a club member for almost 40 years. "The thing I remember was going out to play a round of golf at the first and Padraig would be on the putting green practicing," he said. "We'd be back around onto the 10th hitting off and he'd still be practicing on the putting green and you'd finish a round and he'd still be there." Harrington becomes the third Irish captain out of the past four, following Paul McGinley and Darren Clarke. Sports Minister Shane Ross also offered congratulations. "Pádraig is a magnificent sporting ambassador for Ireland and I have no doubt that he will do a fantastic job as captain."